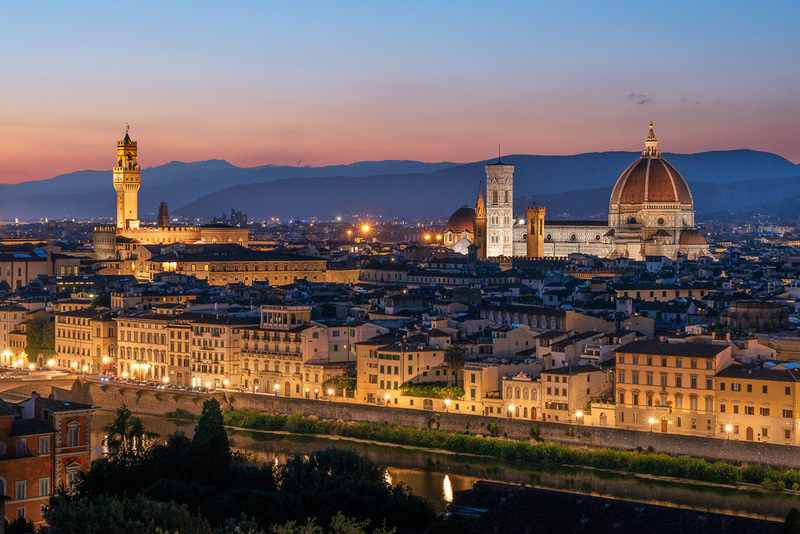 Florence is considered the birthplace of the Renaissance and has been called “the Athens of the Middle Ages.” The Florentine dialect became the language of culture throughout Italy, and forms the basis of the standard Italian language. 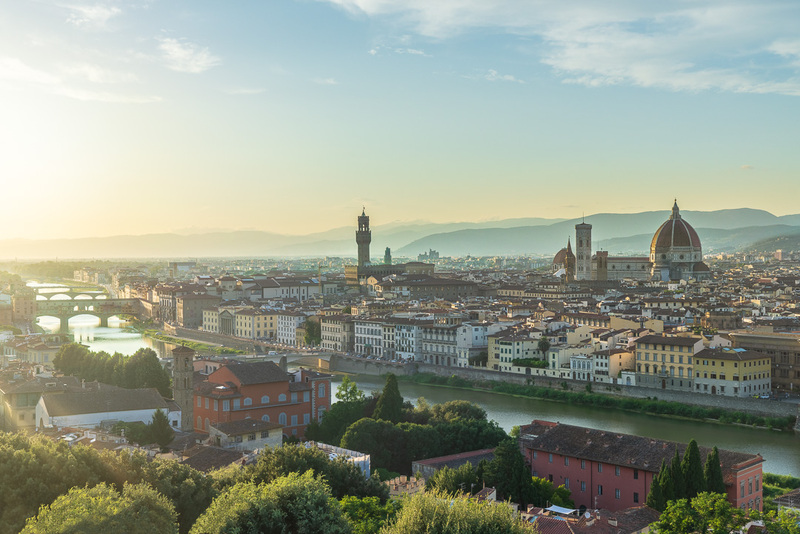 Florence became a World Heritage Site in 1982 and is considered as one of the most beautiful cities in the world. 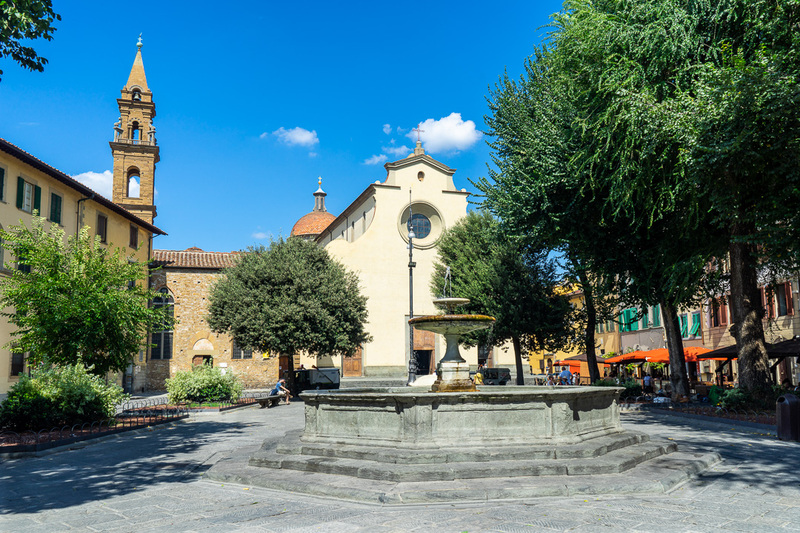 Here are 20 photos to inspire you to visit Florence, Italy. 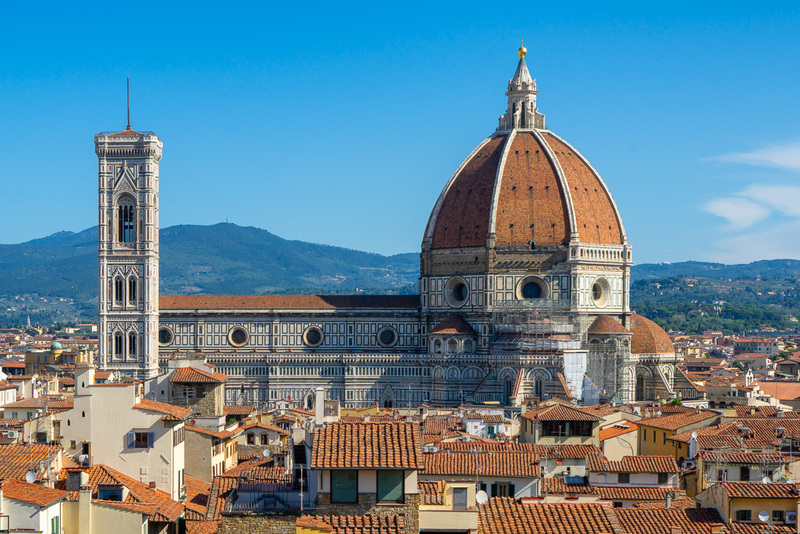 Florence’s Duomo is the city’s most iconic – and most visited – landmark. 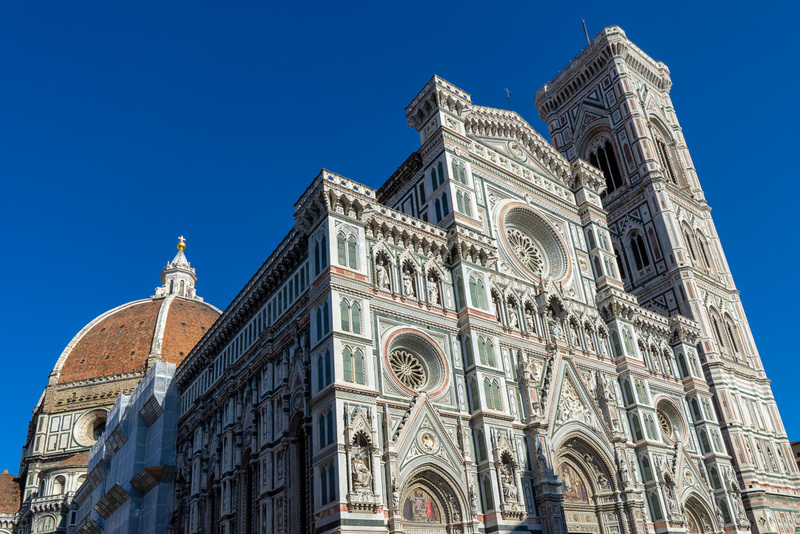 The exterior of the Duomo is epitome of Renaissance architecture. But despite its breathtaking exterior, the vast interior is shockingly sparse. 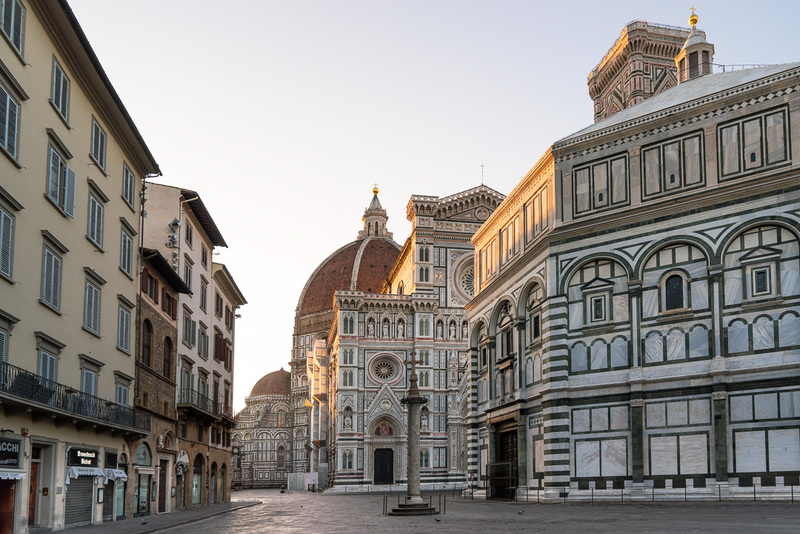 The Piazza del Duomo (“Cathedral Square”) is one of the most visited places in Europe. The only way you’ll find it empty is to visit early in the morning. 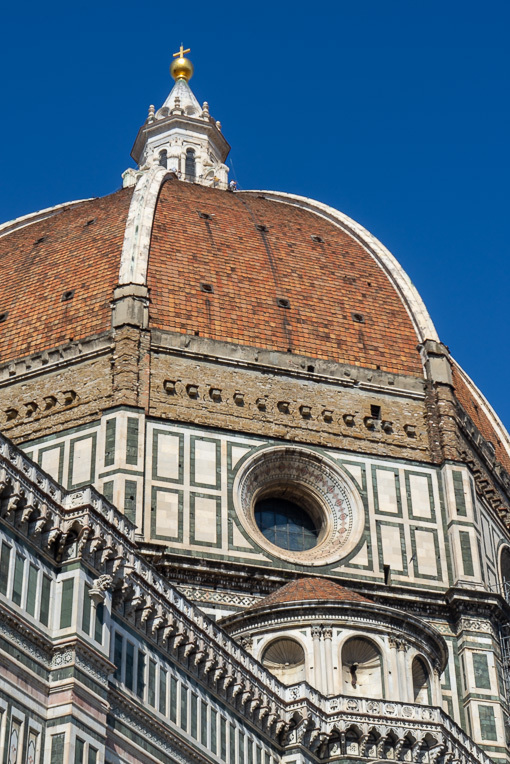 The dome of the cathedral is an architectural achievement – the largest on Earth. 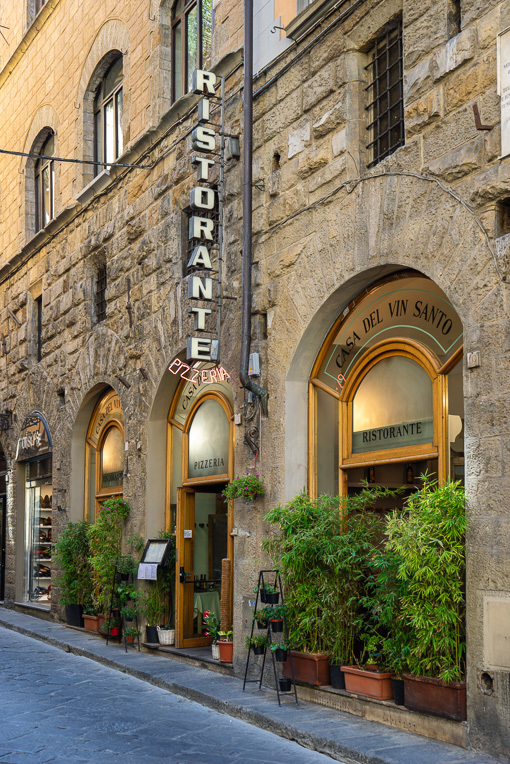 Narrow Florentine streets hide charming cafes and artisan shops. 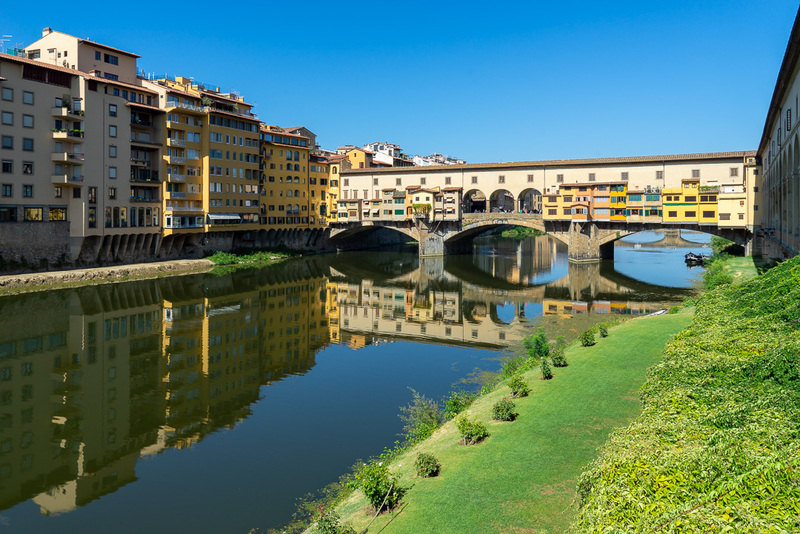 Ponte Vecchio (“Old Bridge”) is one of the most famous bridges in Europe. The bridge is flanked by goldsmith and jeweler shops. 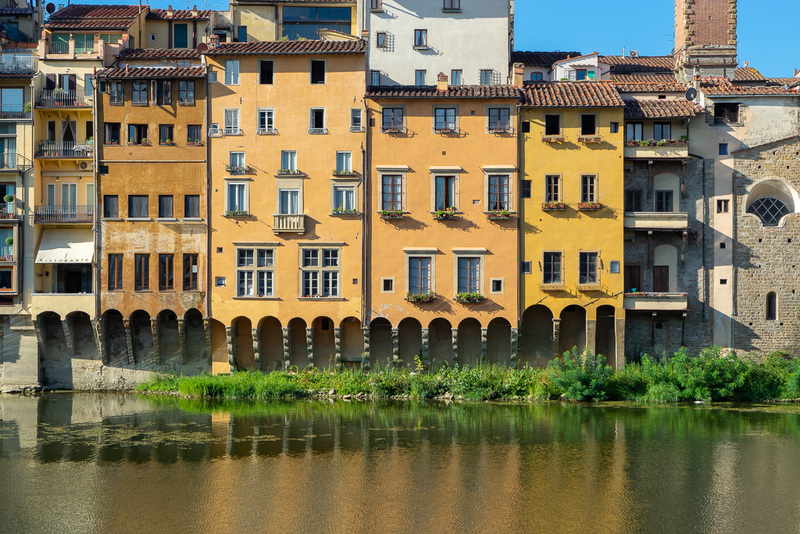 Ancient houses line the banks of the Arno River – the largest river in Tuscany. 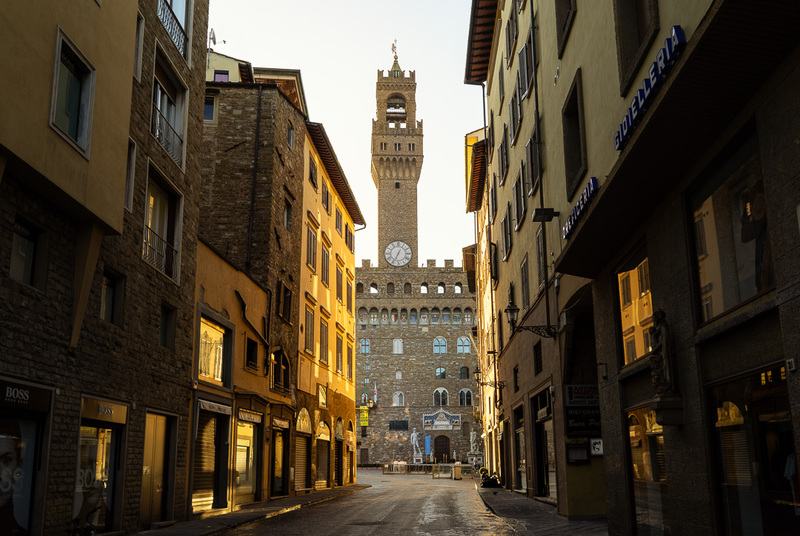 The Piazza della Signoria is dominated by the 13th-century crenellated tower of the Palazzo Vecchio, the town hall of the city. 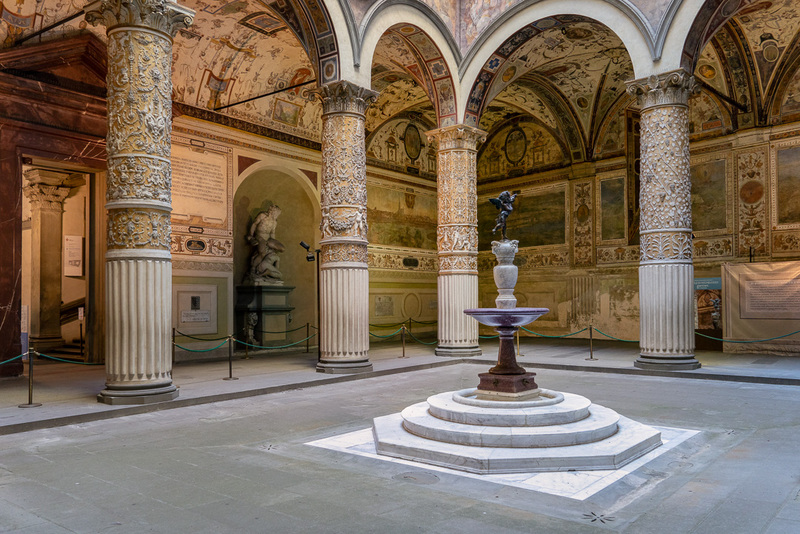 The courtyard of the Palazzo Vecchio is lined by richly frescoed barrel vaults and columns decorated with gilt stuccoes. 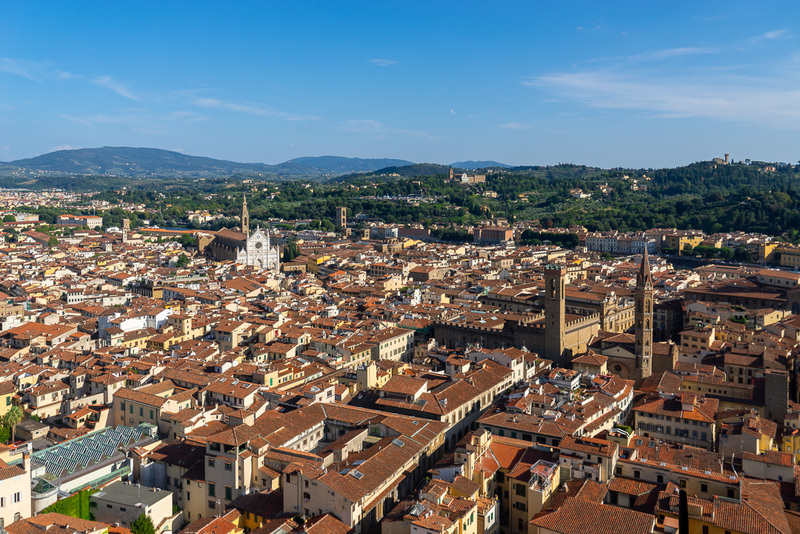 The best views of the Duomo are from the tower of the Palazzo Vecchio. 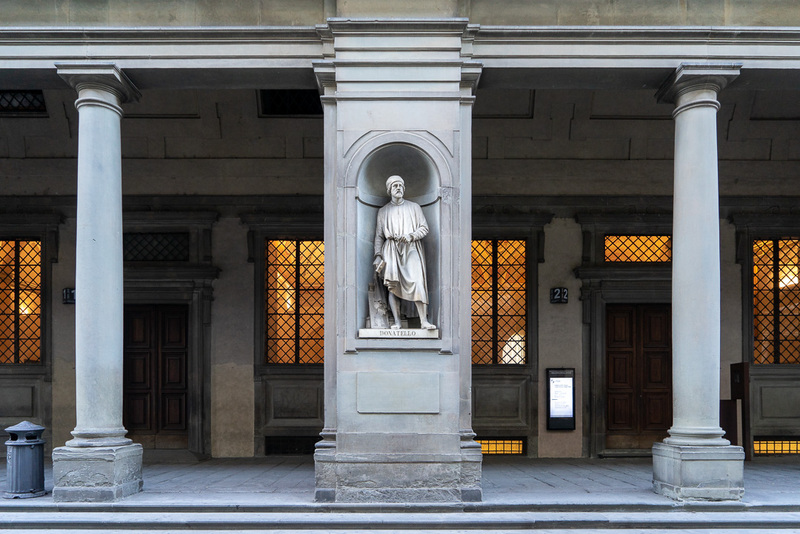 The Uffizi Gallery is one of the largest and best know museums in the world. It holds a collection of priceless works, particularly from the Italian Renaissance period. 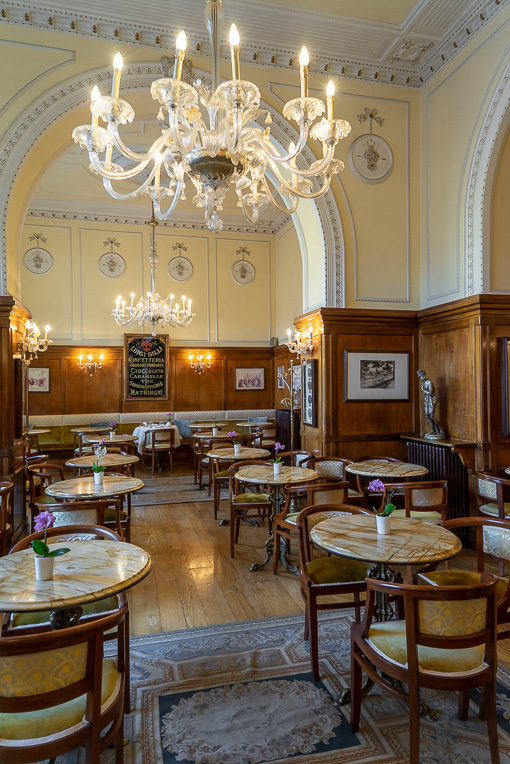 Cafe Gilli is the old cafe in Florence, and is a mandatory stop for both locals and tourists. 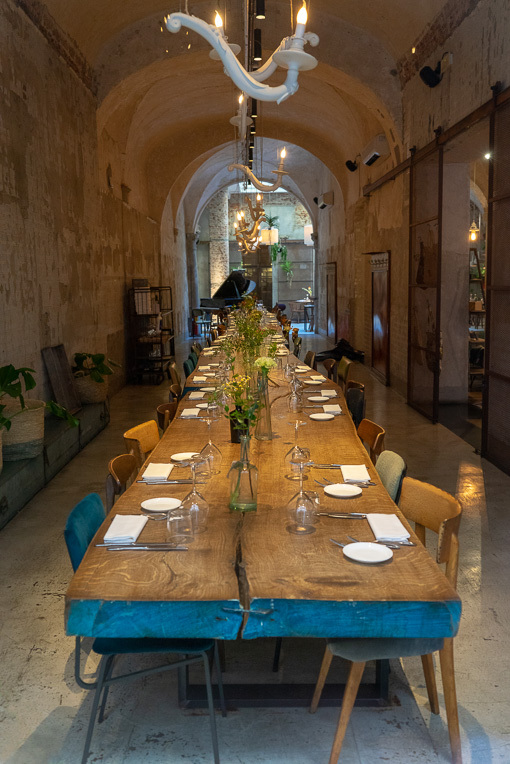 La Menagere is a popular cafe and restaurant in the heart of Florence. 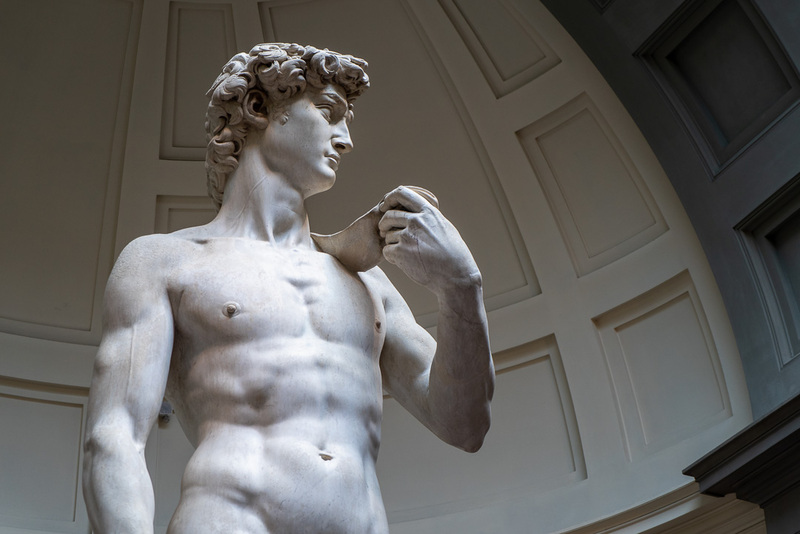 Michelangelo’s David is one of the most recognized works of Renaissance sculpture in the world. It can be found at the Accademia Gallery. 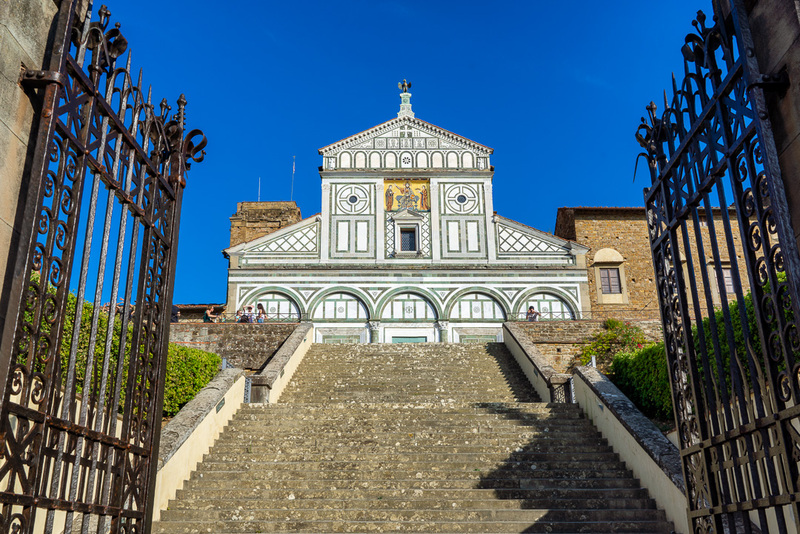 San Miniato al Monte is a basilica that stands atop of the highest points in the city. 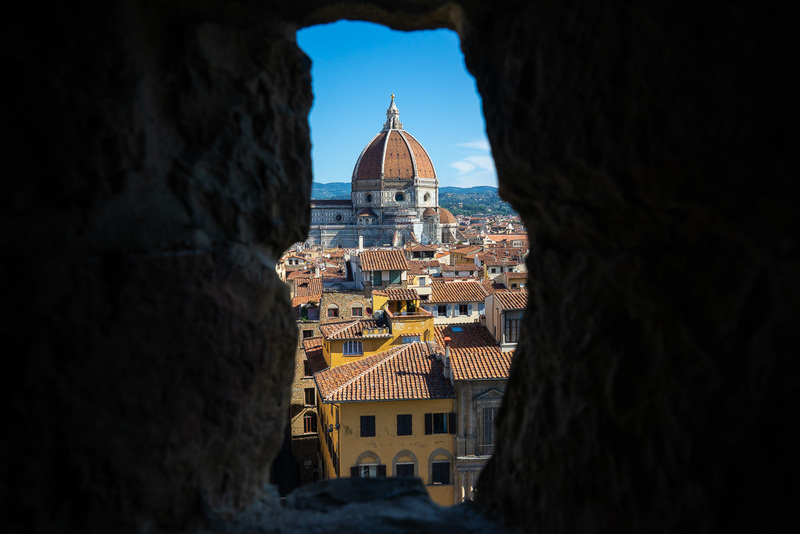 It offers beautiful views of Florence throughout the day. 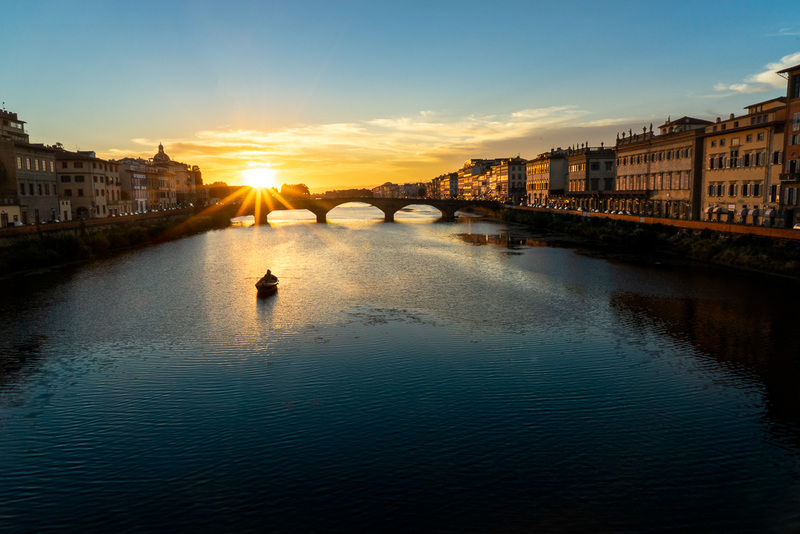 Sunset on the Arno River.